Click on Files in your Office application. Now click on "Go" to manage your Add-Ins. 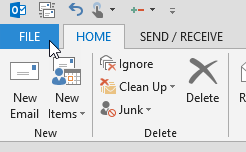 Make sure to enable "Project Insight Connector" by checkmarking the box to enable the option then click Ok. 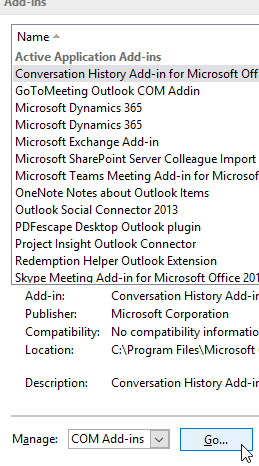 If you did not see the option to enable the Project Insight Outlook or Office Connector, make sure the correct version of Project Insight Connector is installed by following the instructions in the installation of the Project Insight Connector.